Medical imaging is also known as diagnostic imaging. It is the imaging of the body parts, tissue or organs. Its purpose is to use them in clinical diagnoses and treatments. In this technique, x-rays, gamma rays or other types of electromagnetic radiations are projected towards the part of the body under observation. Some of these radiations are absorbed by the body, and those transmitted through the body are detected by the photographic film or other detectors. The images produced by the x-rays are two-dimensional, and this is called projection radiography. In MRI, strong magnetic fields are used to form images of the body. Some atomic nuclei can emit radiofrequency waves when placed in the presence of a magnetic field. For this purpose, mostly the Hydrogen ions are used. The waves generated pass through the body and are detected. The patient whose MRI needs to be done is placed on a table with a rotating magnetic field; this magnetic field excites the hydrogen ions present in the water molecules of the body tissues. The electromagnetic radiations emitted from excited hydrogen ions are then detected by receiving coil. Nuclear medicine is a field of radiology, in which nuclear tracers are introduced into the body. They emit radiations which are detected by the detectors. In this imaging technique, a series of x-rays are taken over different axis creating a multi-dimensional image. In this technique, the x-ray source and the detectors are rotated around the body part for which imaging needs to be done. Ultrasound is also a medical imaging technique. It is simply called a scan. In this procedure, high-frequency sound waves are transmitted by a transducer, which is moved through the body part. For example, in the case of the pregnancy ultrasound probe is moved through the mother’s abdomen. The sound waves bounce off the fetus in the form of echoes. The computer detects these echoes and form image. Normally, the ultrasound performed is a 2D image. The 3D image is a new revolutionary trend. 3D ultrasound is not different from 2D as the process is similar and the mother feels all the same. It is advanced technology. In this type of ultrasound, thousands of body images are taken all at once. A computer converts these images into 3D form. These are quite clear images. All the delicate features can be noticed. The baby’s face and those cute little fingers and toes can all be seen before the baby is born. In the 2D image, the sound waves are transmitted straight to the fetus and reflected echoes are converted into an image. Conversely, in 3D ultrasound, these waves are transmitted at different angles all along the fetus height, width and depth of the baby. 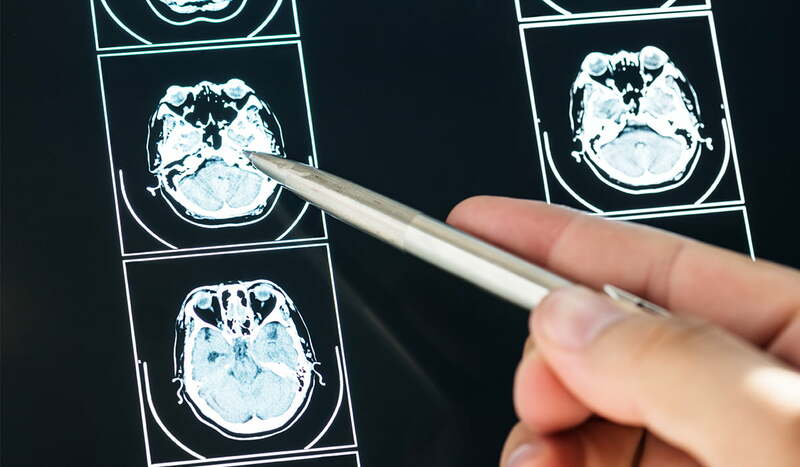 Medical imaging helps to detect and diagnose diseases at its premature stage. It also guides and escorts the physicians and patients in regulating the most suitable and effective care. Medical imaging and radiation therapy has also helped numerous people in their survivals. It provides easy to understand approach and perspective in selecting medical imaging tests. Medical imaging is safe, and it is very effective and efficient. Medical imaging and radiation therapy can be used for great benefits to mankind and with the minimal risk. Nowadays, it is easy to convey and share information as digital imaging files through cloud-based platforms and networks. It also reduces the number of times a patient is exposed to radiations. Medical imaging is a great source of jobs all over the globe. From the physicians viewing and evaluating the scan to the technician’s accomplishing a procedure, the factory worker collecting and fabricating a machine; a multitude of things make use of it. Medical imaging also provides high tech jobs. These jobs are well-paid. Medical imaging techniques are pain-free and non-invasive. Medical imaging can be life-saving especially in the case of breast cancer. Medical imaging technologies are very powerful. Medical imaging also helps the doctor to see the development and growth of the baby inside the womb of the mother. The cost of medical imaging is reasonable. It enhances and boosts efficiency in healthcare. As medical imaging detects and diagnoses the disease at the initial stage when it is treatable, it has lowered the need for invasive techniques. The surgical C-ARM machines have been designed for the medical imaging sector. They are also used in complicated surgeries, orthopedics, vascular surgeries, and cardiology. The high-resolution x-ray images in real time permit the surgeon to observe progress at any point during the surgery. The medical imaging files can be shared easily and quickly with the physicians. Medical imaging technology has revolutionized and reorganized the healthcare. A lot of medical imaging technologies are there that can detect and diagnose the disease. One of them is radiation therapy. Radi therapy is one of the most effective means of killing cancer cells. All in all, medical imaging has provided medical practitioners an efficient diagnostic tool that has revolutionized the healthcare sector. As technology is advancing, new imaging techniques are being introduced. Let’s see how far does it go!